I am able to write about Crooked Tree’s school because the school kept very detailed and historical records over the years, including the changing over of the administration of the village from the Orange Walk to the Belize District in 1953; the World War II surrender of Japan on Friday, August 17, 1945 when the school celebrated a “Holiday Victory”; the historic visit to the village of H.E. Sir Ronald H. Garvey, who was Governor of British Honduras (Belize) from 1949-1952, and his wife Lady Garvey on August 2, 1951. Records were also kept of village students receiving scholarships to attend high schools in Belize City, disciplinary action taken against teachers and students, teachers successfully passing exams at different levels, distinguished visitors to the village, the arts and crafts being taught to pupils such as sewing, gardening, manual training and an added handicraft class for girls which was started on September 26, 1952 with Rochelle Adolphus as instructor. Visits of the rural nurse to vaccinate and treat illnesses in the village, as well as the daily weather, were all documented. A log was kept in numerical order of children enrollment in the school. Let’s look at this information in detail. 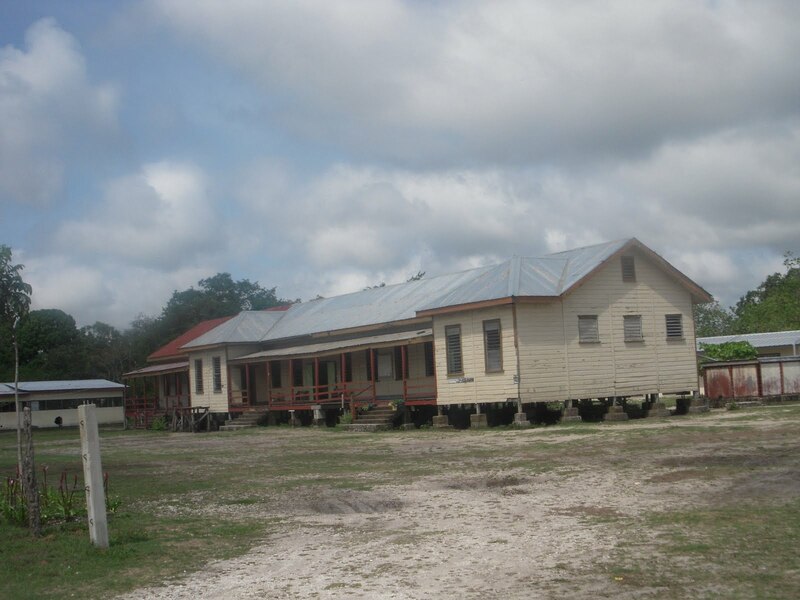 The first school in the Village of Crooked Tree was built by the Baptist Mission of Belize around June 1835. The school was called the Crooked Tree School and was located on the property of the Crooked Tree Baptist Church. Its first recorded teacher/missionary was Mr. John Warner, an English sailor left behind in Belize, until 1849. 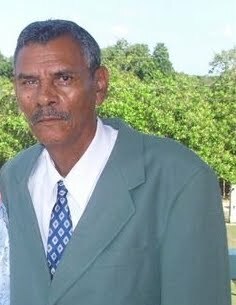 The next of record was Mr. Ebenezer Adolphus a native of Belize, formerly British Honduras, who had a First Class Teacher's Certificate. Mr. Adolphus was first placed in charge of a newly opened mission station in Lemonal Village, Spanish Creek, but later transferred to Crooked Tree in 1890, where he served until his death in May, 1925. The school was last managed by Mr. L.A. Francis, the Director of Education, and Mr. R.G. Staine, Secretary of the Baptist Trust Association. 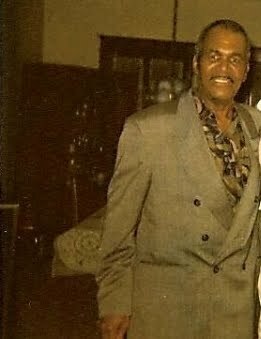 About 1947, the principal of the school, Mr. Sylvester Day reported that the school building was in a state of deterioration with poor accommodation and no operable latrine. The furnishings were inadequate and in urgent need of repair. A comprehensive report by Acting Senior Education Officer, Mr. S. Daley, further confirmed the need for a new school. It was for these reasons that the vision for the new Crooked Tree Government School was developed. On June 6th, 1952, at the end of the summer holidays, the new Crooked Tree Government School was opened. It was built by the Government of Belize, with the Public Works Department responsible for its actual construction. It was a wooden structure approximately 96 X 24ft. with two verandas. It was divided into three sections for the upper, middle and lower divisions. An addition of 36 feet was added to the building in 1966 under the tenure of principal Howard Burns. That building still stands today and is being utilized by five classes. Of great interest is the fact that the records of the 1950's show that the summer holidays commenced toward the end of April and classes resumed in June. Also there was a two week rice harvest holiday given in the month of October. 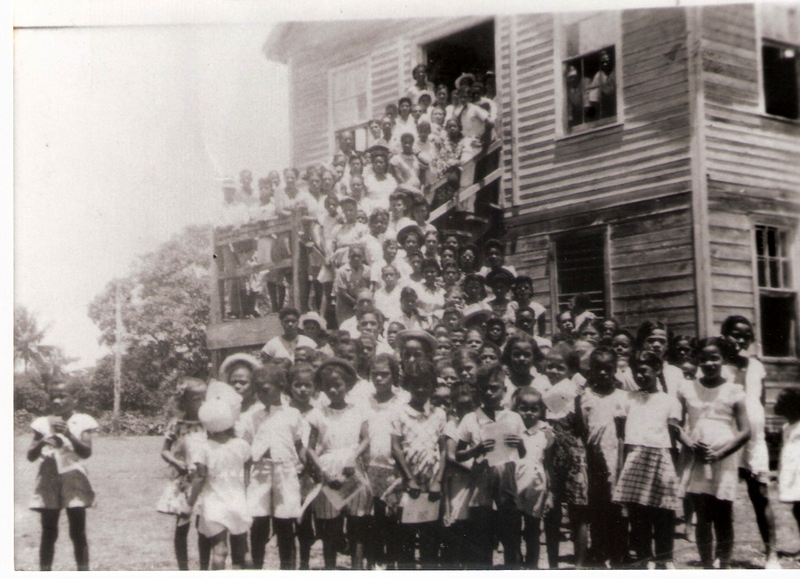 When the new Crooked Tree Government School was opened in 1952, the staff was as follows: Trinidadian-born principal, Mr. Carlos Engleton and his wife Mrs. Norma Engleton, Mr. Carlton Pinks, a native of Orange Walk who was teaching at the Crooked Tree School; Ms. Ellory Brown of Belize City who served as the head of the lower division; Crooked Tree natives, Mr. Cyril Gillett, Miss Norma Rhaburn, Mr. Lionel Tillett and Mr. Enkis Flowers. There were 172 pupils enrolled at the new school, 81 boys and 91 girls. The records show that enrollment fluctuated over the years and rarely exceeded the two hundred mark. Mr. Carlton Seaford Pinks, Sr.
For quite a while principals were not natives of Crooked Tree Village. 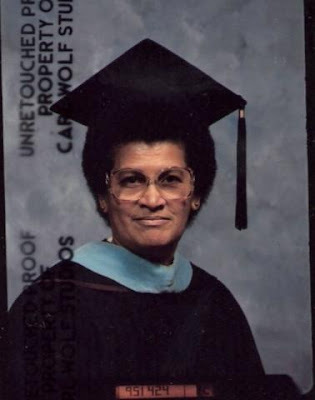 The records show that the first native of Crooked Tree who obtained a teacher’s certificate in July 1956 was Ms. Ruby Perriott later known as Dr. Ruby Perriott Marrith. However, she did not continue in the school to become principal, but went on to become the first native of Crooked Tree to obtain a doctorate degree. 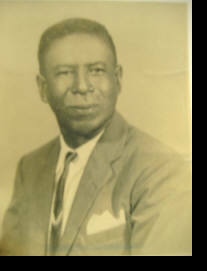 The first villager named principal was Mr. Ennis E. Flowers, succeeding Mr. Bernard H. Longworth. Mr. Flowers held this post from 1963-1965. The second villager named principal was Mrs. Abigail Dawson Tillett who succeeded Mr. Howard Burns. Mrs. Tillett now holds a masters degree and is still teaching elementary school in the state of Oklahoma in the United States of America. Her husband, Clarence served as her Vice Principal and he still holds the school record of a 100% success rate in students passing the Primary School Examination in 1971. 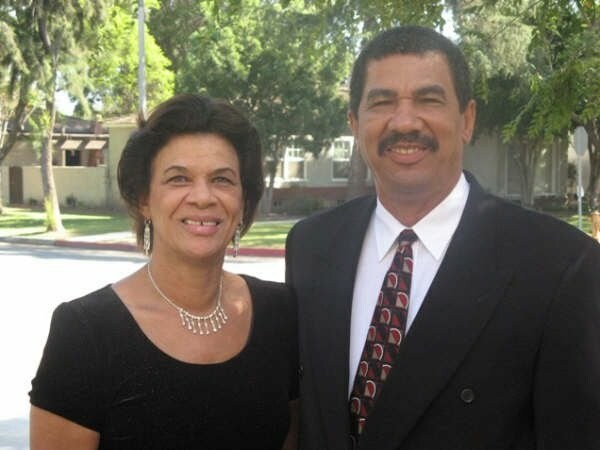 Other prominent teachers who taught at the school were Abraham Ramos, Cynthia Henry and Oswald Mathews who were not from the village, and Crooked Tree natives Bernice Perriott, Albert (Bato) Codd and Burma Gillett. 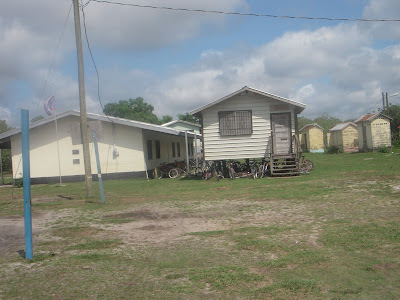 In April 1996, a new concrete building was built by the United States Army and the Government of Belize; this building houses three additional classes. The school also has a small wooden building that houses the Crooked Tree Government Pre-School, which was adopted by the Government of Belize in September 2004. In May 2007, a two classroom building as well as a cafeteria was built with the assistance of the U.S.Army. Today, the Crooked Tree Government School has a total enrollment of 152 pupils, and the Crooked Tree Government Preschool has 20 pupils. The preschoolers’ prescribed seating arrangement is the roundtable set-up and they are not required to take exams. There is also a computer class for higher grade students that are being supervised by the school principal. The staff includes Principal Verla Jex, Mrs. Ardith Tillett, Mrs. Sherolyn Webster, Mr. George Tillett, Mrs. Julia Tillett, Mrs. Winnie Gillett, Mrs. Uriella Wade (Pre-School), and Mrs. Vero Lauriano. Special thanks to Principal Verla Jex and Teacher Winnie Gillett for access to records and to Winfield Tillett for adding to and editing this article and his visit to the school in May 2010 to retrieve the records and take the pictures, and also Mr. Sam Rhaburn for historical facts. Linda Thank You for such a big part of Our History.Thank You for taking the time to do this project and Thank You for sharing. Good morning linda.Great job! It is a good feeling to know about our history and where we come from, this teaches us to better accept who we are and to further our cause as leaders and positive roll models for our future generations. I am sure that I have done some "Electrical upgrade" at the Crooked Government School couple yeare ago. It was a wonderful feeling for me to have contributed in that manner. Very nice article, many thanks to you for sharing this. I kept reading to see when my Dad's name would pop up. WOW! This is so great. I love this article Linda, can I get a transcript of this? Good old days. I am so grateful to know all of this history. I was a student at the Baptist School, but I never knew my village's history; I can remember some information, but only after 1960. Thank you for sharing Ms. Linda!!! What a wonderful history. Keep up your good work. We appreciate it. Great article on Crooked Tree School! Proud of you and the great job you have been doing. I know it takes time to do this, so I am glad to see another one of my cousins will be helping you blog. Welcome Cherry! Linda, thanks again for such a nice piece. However I do have one question. How come a piece on the CT Govt. School doesn't have any reference to the abundance of "Chigga" that occupied the dirt underneath it? I still have some scars on my feet from them. I guess with all the Nike and Rebox from the US, the modern children do not know about going to school "bear-foot" and ketching Chigga. Notwithstanding, I'm very impressed with the penmanship of my Cuz Winfield. Keep up the good work.